Congatulations, congratulations, congratulations to Lorraine Akiba for whom March 2017 was a month of recognition. Punahou74 Power Couple: Robert Pennybacker and Lorraine Akiba pose with HMSA COO and President Mike Stollar. Akiba and Stollar were fellow 2017 Hawaii Business “20 for the Next 20” Honorees. The recognitions stemmed from Lorainne’s work promoting the growth of renewable energy and for serving as a female role model. The month started with her being honored by Pacific Business News as one of Hawaii’s “Women Who Mean Business.” The award is given to women who demonstrate exceptional leadership, business acumen, and have a strong commitment to making Hawaii a better place through their hands-on approach to community service. (Note the Lorraine follows in the footsteps of Coralie Chun Matayoshi who was named PBN’s Nonprofit Business Woman of the Year at the 2010 event. Hawaii Business magazine then weighed in via its March issue when it counted Lorraine as one of its “20 for the Next 20”: twenty people whose talents, accomplishments and potential set them apart as emerging leaders of Hawaii into the next two decades. Wow! Lorraine Akiba in the March 2017 Hawaii Business magazine. Even though many of the winners were in their 30’s and 40’s, it’s nice to know that there were two who were in their 60’s. Here’s looking at you kid indeed! In the article noting her accomplishments, Hawaii Business described Lorraine’s work to sustain Hawaii’s economy by creating a future anchored in renewable energy. With her background in environmental law and current position as a Commissioner for the Public Utilities Commission, she appears to be where she needs to be. Click here to read her Hawaii Business coverage. The month ended with Sisters Empowering Hawaii–which is dedicated to the advancement, education, and empowerment of all women in Hawaii–presenting Lorraine with one of its Women Making History Awards. Of special note at ceremony was one of the people with whom she shared the stage: Punahou74 classmate Mele Meyer! Punahou74 not only rocks, it rolls too! Yes, Lorraine was on a winner. But do you recognize another of the winners? 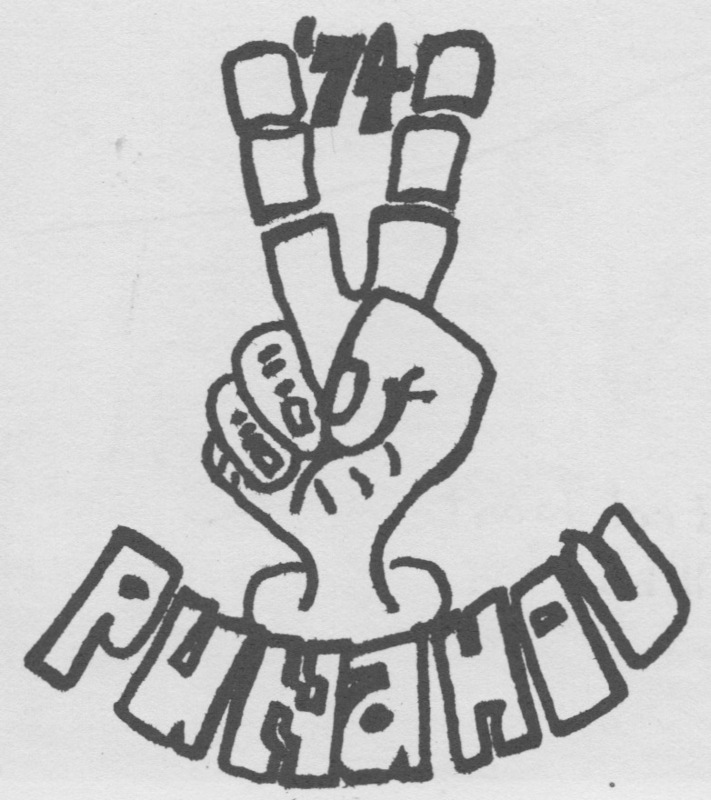 Punahou74 rocks! Congratulations, Lorraine. You too, Mele!